On January 8th, The Disagreement presents its first installment of 2014 — Anniversaries Vs. 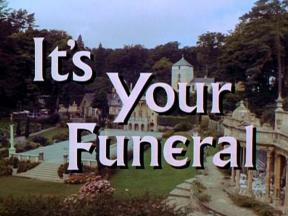 Your Funeral. Over our last six readings we’ve found writers via submissions, friends, and scouring journals and the internet for new and interesting work that we love. It’s been a pleasure to put these nights together, and for our first anniversary readers culled from the past year will read selections of their choice. So for once, the proceedings will be out of our control. Consider it our highlight reel. At Culturefix, 9 Clinton Street, starting at 7pm. Thaddeus Rutkowski is the author of the novels Haywire, Tetched and Roughhouse. All three books were finalists for an Asian American Literary Award, and Haywire won the Members’ Choice Award. He teaches at Medgar Evers College and at the Writer’s Voice of the West Side YMCA in New York. He received a fellowship in fiction writing from the New York Foundation for the Arts. Alex Morris was born and raised in Mobile, Alabama and received an MFA in poetry from NYU. He has worked for New Orleans Review and McSweeney’s Poetry Series. He runs the Southern Writers Reading Series, which takes place the second Wednesday of each month. He lives in Brooklyn.